Pneumatic technology has come a long way and one has to thank the efforts of JET that has brought consumer centric innovation to its range of air tools including air ratchets that perform best in any given condition. 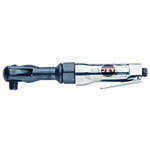 JET tools are notorious for their high quality built, reliable performance over a long period of time and durability. Even if the tool is built like a rock, there is always something that could go wrong given the harshness of the work environment and tediousness of the jobs. That’s why toolpartsPro offers a wide range of JET air ratchet parts so you can repair your broken or damaged JET ratchets without having to replace them at a higher cost. ToolpartsPro only deals in genuine JET tool repair parts so customers get the same quality they’ve been using all along. 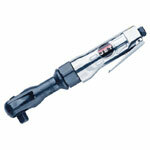 Get to the part you need by searching it through tool model or part number itself. If you are facing any botheration, don’t hold back to dial our toll free number 888 982 6540 to talk to one of customer reps who will be glad to figure your issues out.